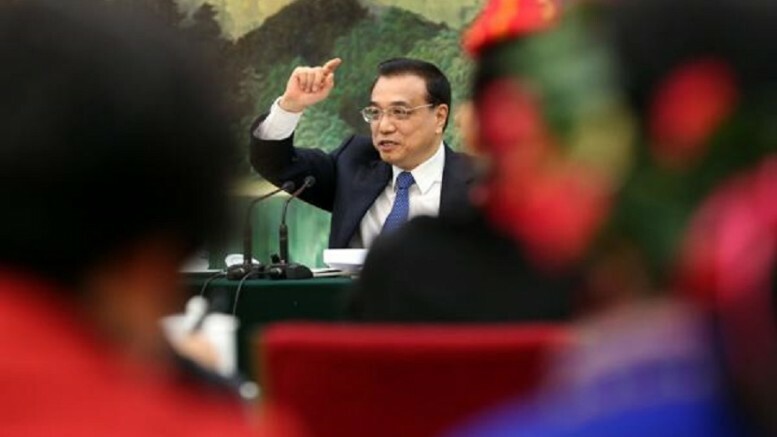 Premier Li Keqiang attends a National People's Congress group meeting on his work report. Chinese Premier Li Keqiang has delivered the 2016 government report at the opening session of the ongoing National People’s Congress plenum in Beijing on Saturday. He has also submitted the 13th Five-Year Plan (2016-2020) to delegates for discussion and approval at the plenum. Although the Chinese Government has said goodbye to planned economy long time ago, they have continued to set development goals on a five-year basis. Under the next five-year plan, China’s domestic national product and people’s income will be doubled by 2020. During the period, the national economy is forecast to grow at or above 6.5 per cent on average. By 2020, the total size of the Chinese economy will reach US$9 trillion. True, the 6.5 per cent growth rate is the lowest in 26 years. The face is the focus of the13th Five-Year Plan is no longer seeking high-speed growth, but speeding up the development of new economy. Departing from the old expansive development model that was based on massive input of resources and capital, the so-called new economy seeks to generate growth from technology and innovation of systems. It is the first time that the concept of “new economy” has appeared in China’s government report. Before that, the Xi Jinping-Li Keqiang government has broached the notion of “new normal.” Under the notion, China has moved from high-speed growth to a new stage that features slower pace of growth and continuous adjustment of economic structure. The engine of growth will no longer be driven by three forces, namely export, investment and consumption. It will be led by consumption in the future. Under the next five-year blueprint, China has set innovation and technology, One Belt One Road and supply-side reform as their three major development strategies. On innovation and technology, China will set up a number of high-level science and innovation and technology centres. A batch of innovation-based enterprises with competitiveness in the global economy will be identified and groomed. On the Belt Road grand plan, China strives to seek breakthrough in international cooperation to help solve the problem of overcapacity in production in the mainland. There is a dearth of details about the supply-side reform in the blueprint. But in the government’s budget, the government has forecast a deficit of US$2 trillion this year. One major reason for the deficit is that the government plans to cut tax, which is aimed to let enterprises keep more capital to maintain their vitality. This is a “standard” supply-side policy initiative. It is clear that the major strategies on the three fronts will not give immediate effect. There will be a period of pain before the Chinese Government can see results. This is because enterprises that are low in technology level, efficiency and high in utilisation of resources face extinction. The process will be similar to the massive closure of big state-owned enterprises and the subsequent big cuts of jobs after former premier Zhu Rongji rolled out reform of state enterprises. Conflicts caused by sacked workers fighting for their benefits had been common then. Then, the Chinese Government had already set up a comprehensive basic social security system in anticipation of labour conflicts before the introduction of state-owned enterprises reform. It was aimed to ensure the livelihood of those workers was being taken care of and that the possibility of conflicts was kept to the minimum. Under the “new economy” strategy now, China should also come up with a plan to ease social conflicts with a major goal to narrow the gap between the rich and the poor. On February 4, the official People’s Daily has carried an article entitled Some Poor People Move from Temporary Poverty to Cross-Generation Poverty. It says something about the seriousness of the rich-poor divide in the country. Be the first to comment on "New economy plan needs old way to tackle rich-poor gap"